If you are like me there are probably aspects of your job that you procrastinate about or leave for the end of the day or better yet, for another day. I am guilty of doing that. My dreaded task is doing a deep research into the deep web. I just don’t find it exciting and I usually end up with crap. There are lots of different strategies around how to organize your daily tasks or your ‘to-do’ list. Some people say do the easiest/quickest things first thing. Others say do the biggest/hardest thing first. 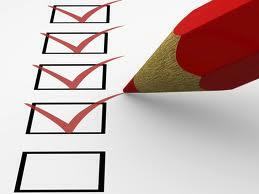 No matter how you tackle your to-do list, my challenge to you is to think outside of your to-do list. Thinking outside of your to-do list requires you to step back and think of the bigger picture-Something bigger than you ever know! No matter your position or job title,everything you do has an impact on the organization that you work for. Every position is important and has value. Everyone from the President, Management, to Front Line Staff and Housekeeping contribute to the overall success of the organization that you work for. 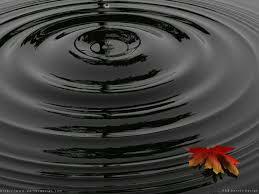 Every task has an impact on someone else….a ripple effect. Every position works in symbiosis with another position or several.So dear readers,Pick out a new interest today-Get a pen and paper,Think outside the box! So while you think a mundane task may not be important – it is to someone else. Think about how your work will affect the other people around you. Be present, do your best work….and be consistent…. While there is a lot of talk recently about employees and their lack of engagement on the job, you do have to take responsibility, as an employee, for getting your work done. So think outside your to-do list. Time to tackle that filing…. So many Nigerian businesses which kick off nicely with great dreams and aspiration often close down after 2 to 3 years of start-up. So often we come across many people who give so many unrealistic reasons for failures in their businesses and some of these reasons comes from lack of understanding the basic principle of business administration. Creating a brand identity is a good path to entrepreneurial success, this is because a truly recognized brand identity makes people confident about your organization. Your brand identity should showcase your unique value proposition and develop a competition advantage in the market, as well as reflect the voice of the brand. Below I’ll show you a few ways new businesses that are looking up to improve their brand identity should not overlook. The number of people who want to make money online has increased tremendously over the years . We have more people online these days than some years back. But a lot of people still don’t know exactly what to do to start their own business or service. Why do some blogs thrive and others fail? What are the reasons why your blog is not thriving as you had imagined. Many bloggers start with big plans and high hopes, only to be crushed by the realities of blogging. To most people, blogging is a joke. ADVERTISEMENT: FOR BUSINESS ADVICE, INSIGHTS FOR GRANTS, CONTACT DAYO ADETILOYE A BUSINESS STRATEGIST.